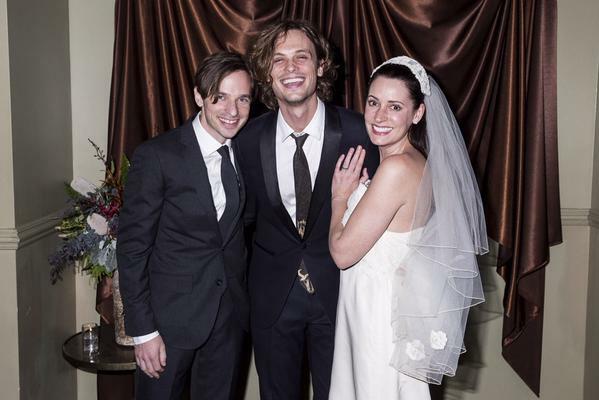 Paget Brewster, Steve Damstra and Matthew Gray Gubler. . Wallpaper and background images in the Paget Brewster club tagged: photo paget brewster steve damstra matthew gray gubler wedding 2014. This Paget Brewster photo contains completo and vestito di affari. There might also be vestito, vestito di abiti, vestito dei vestiti, vestito di vestito, vestito pieno, frac, code, cravatta bianca, cravatta bianca e le code, abito vestito, and cravatta bianca e code.